The Jerk 5.5 measure approximate 5.5" overall, .5" at fatest tapering to .125" at tail. Tail is .100 thick. Built in .125 wide hook cavity in belly. 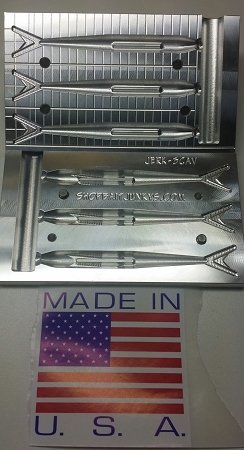 3 cavity mold Made 100% in USA... Mold requires use of clamps not included.  BaitJunkys has made an awesome jerk bait! This mold creates perfect bait EVERY TIME! Thanks again for a great product!